Homemade Gorditas are an easy way to turn leftovers into a meal that you actually look forward to! Is that possible?! Picture thick, delicious masa cakes stuffed with your choice of filling and you’re on the right track. So many options! I’ll go over the pros and cons of these choices and then list out my preferred style that will get Gorditas in your kitchen without a hitch. 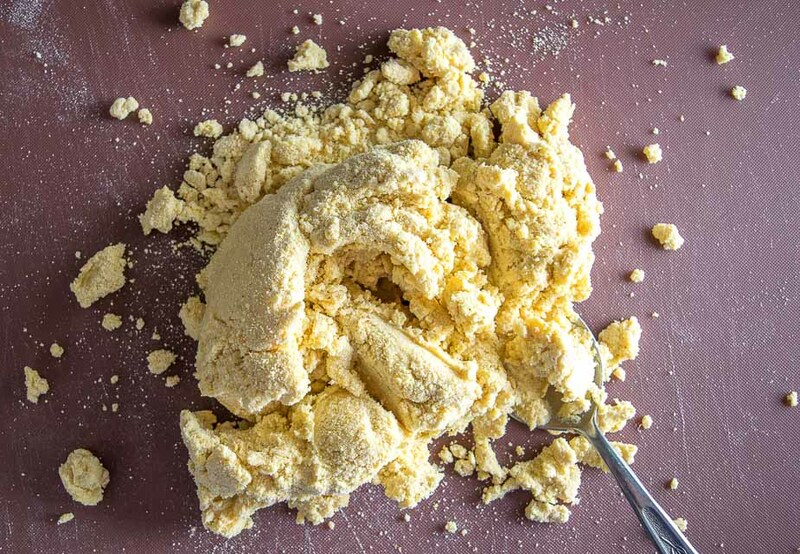 Of course, all of this depends on having some masa dough in the house. 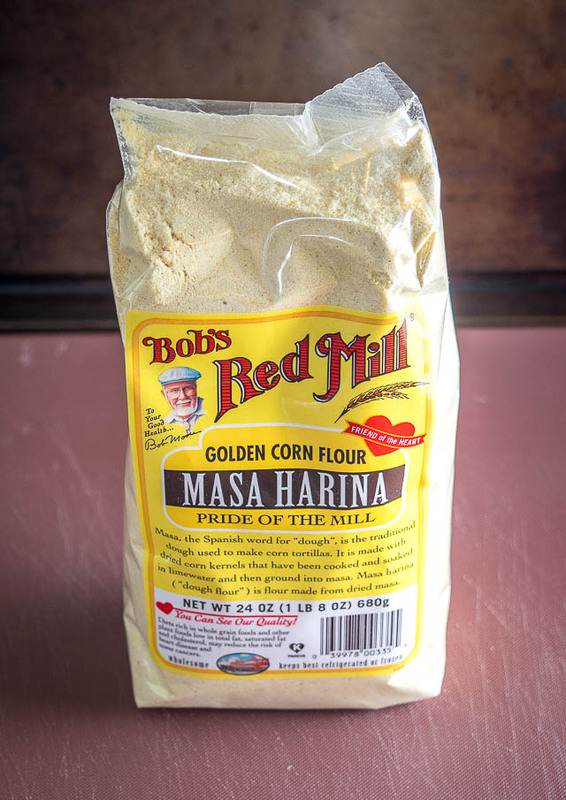 Masa Harina is de-hydrated masa dough and you can use it to make delicious corn tortillas, tamales, and yes, Gorditas! 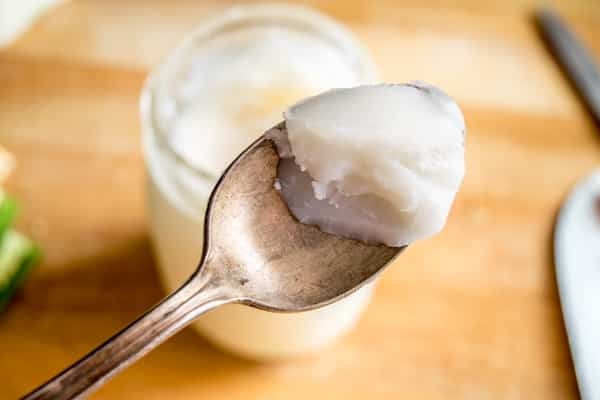 Lard is traditionally used for both tamales and Gorditas — to add flavor and to keep them from drying out too much during an extended cook. I use both lard and butter in our tamales recipe for some added flavor and you could do the same here — you could probably even substitute all butter and still get a good result. 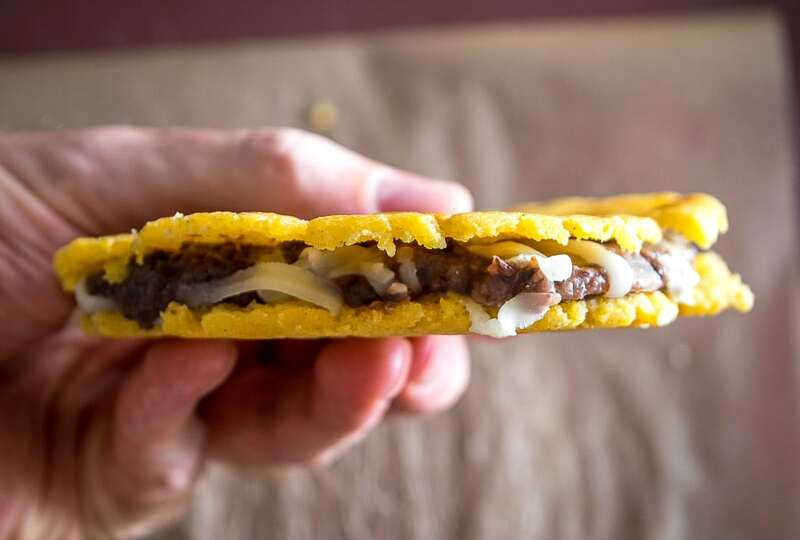 Either way, it’s definitely worth adding some fat to these Gorditas and you’ve got lots of options for that element. You’ll need about 1.5 cups warm water for these 2 cups of Masa Harina. And then you can add the rest of the water incrementally as you knead it into a cohesive ball. The exact amount of water will vary so adding the final bit incrementally makes it easier to find the right consistency. When the dough forms a cohesive ball without sticking to your hands then you’re in good shape. If it’s still crumbly then you need to add more water. 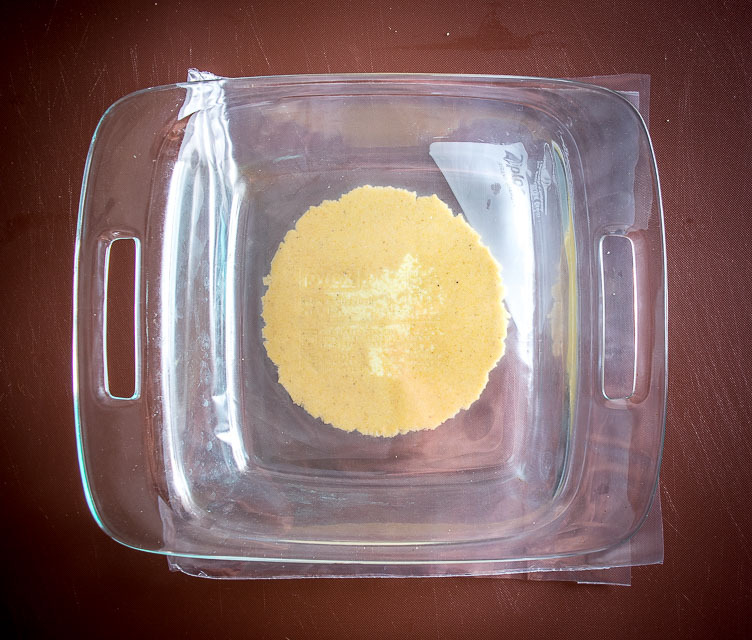 Conversely, if it’s sticking to your hands then most likely there is too much water — simply add a light dusting of Masa Harina until you can handle it without it sticking to your hands. I used to dedicate 30-60 minutes to let this dough rest, but I don’t really do that anymore for masa products. I usually just cover it and let it sit until my pans are ready to start cooking the Gorditas. Okay, next decision is thickness, or how much Gordita do you want in your Gorditas?! I prefer this thickness because it makes them substantial, i.e. they fill me up! But they aren’t so thick that they overwhelm the fillings. For reference, a typical corn tortilla will use about half of this masa amount. I find it easiest to flatten these in the middle of a Ziploc bag with the top cut off. Sure, you can use a tortilla press, but it’s just as easy to use a flat-bottomed casserole dish. 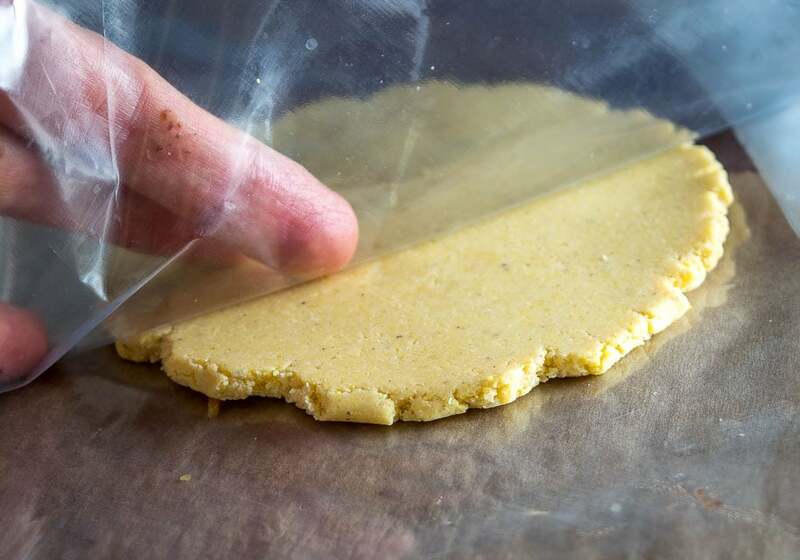 You’ll know if the dough has the right consistency when you peel off the plastic. If the dough is sticking to the plastic it’s still a little too wet and will need another dusting of masa harina. Keep in mind that you can always make these a little thicker at the cost of increasing the cooking time. Okay, let’s talk about ways to cook these beauties! Years ago when I made Gorditas for the first time I simply put them in a dry skillet on medium heat and cooked each side for 4-5 minutes. And I found them to be tremendously disappointing! 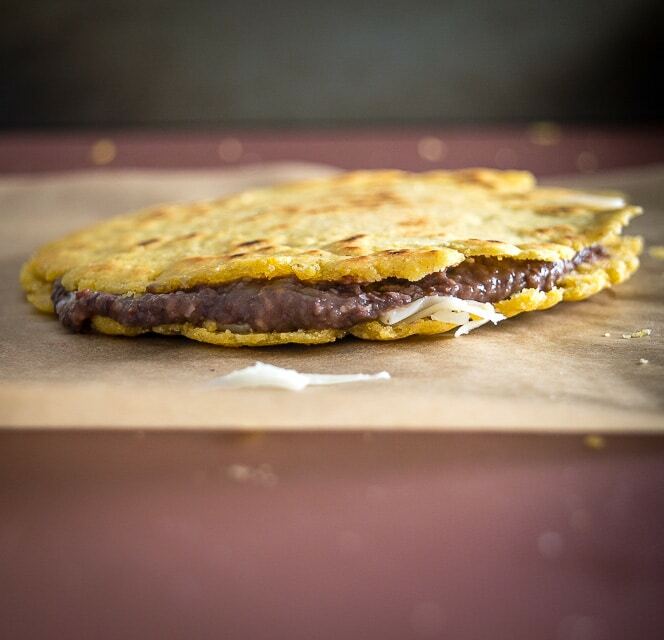 Gorditas are thicker than corn tortillas so of course it’s going to take longer to get the center cooked. And by the time the center is cooked they get dense and hard if you cook them like this. So then I went to the other extreme and tried frying them directly in oil. But I was disappointed with these as well. They absorb way too much oil for my taste. And while the crispy crunch is awesome I felt like they were a little too greasy to be in my regular recipe rotation. So why not meet somewhere in the middle? 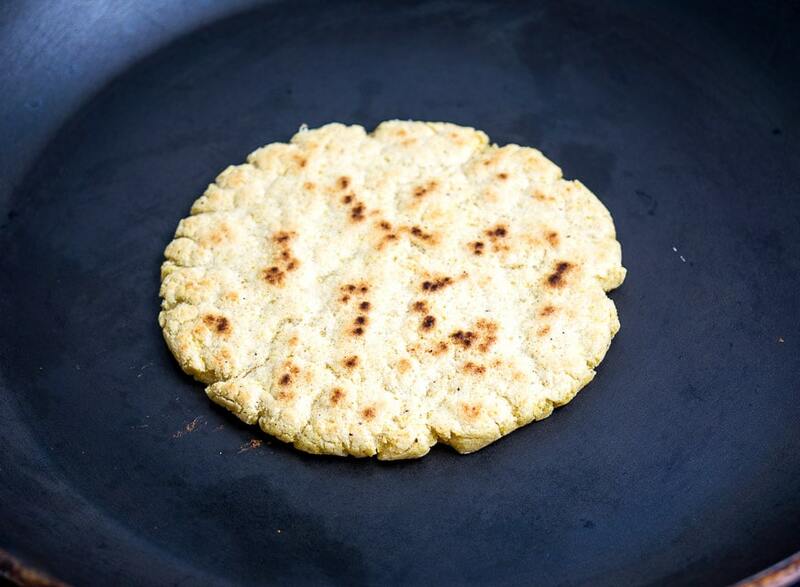 In a dry skillet cook each side of the Gordita for 1-2 minutes or until light brown spots are forming. In a separate pan, heat up a thin layer of oil to 360F (medium on my stove). How much oil? I’d say as little as it takes to coat the pan, and when you tilt it you’ll see a small amount running to the sides. And they will usually puff up when they are added to the hot oil. Perfect! This will make them easier to cut open and insert your favorite fillings. It’ll take about 1-2 minutes for the bottom side to get crispy. You can flip and cook the other side for 1-2 minutes, but I’d say the majority of the time I make these I don’t cook the second side in the oil. 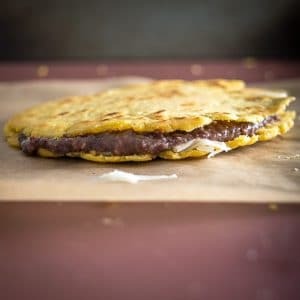 It will already be cooked from the first step and if the Gordita is already puffing up I will usually just take it off and let it drain in some paper towels. Not cooking the second side limits the amount of oil it will take on but of course feel free to experiment with this to find what works best for your palate. The best way to test them is to take a bite! If you have an air pocket in the middle surrounded by moist, cooked masa then all is well! You can use a knife to make a slit around the edges to pry them open further. 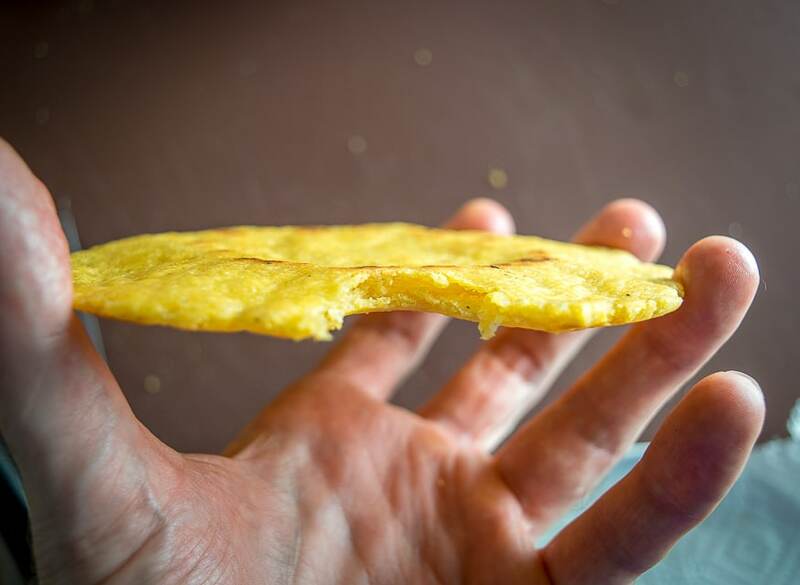 These can easily be eaten on their own but don’t forget that the original gameplan with Gorditas is to stuff them with your favorite fillings! But don’t sweat the filling too much the first time you make these. I think it’s best to get comfortable with the process before worrying too much about what goes inside. There’s probably already something in your fridge that could be a worthy test driver. Okay, that’s the skinny on these fattened up Gorditas. Want to try them? Giving them a quick shallow fry will reward you with that crispy, savory corn flavor. Everything beyond that is just a bonus so feel free to get creative with them! Update! 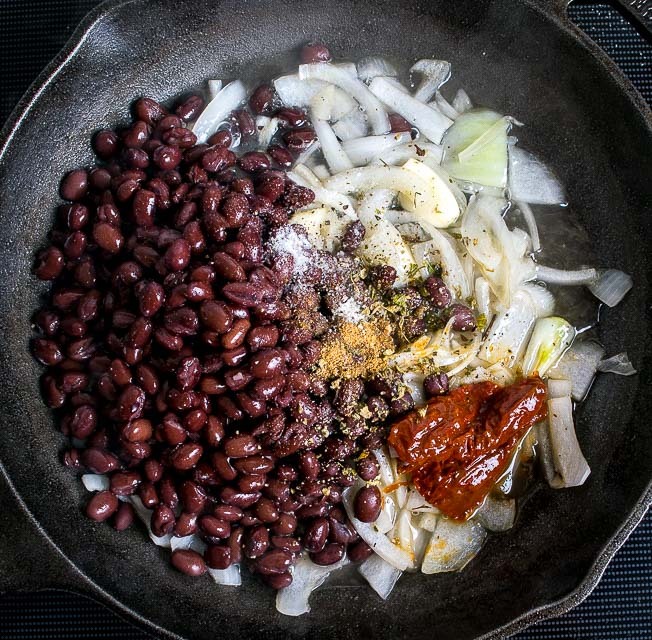 We just posted a version that adds bacon and serrano directly to the masa dough. Sound crazy?! See Bacon Serrano Gorditas. This is my preferred style for making gorditas. Giving them a shallow fry at the end of the cooking period gives them great flavor! Now add only 1 cup of the warm water and combine as much as you can using a spoon or spatula. 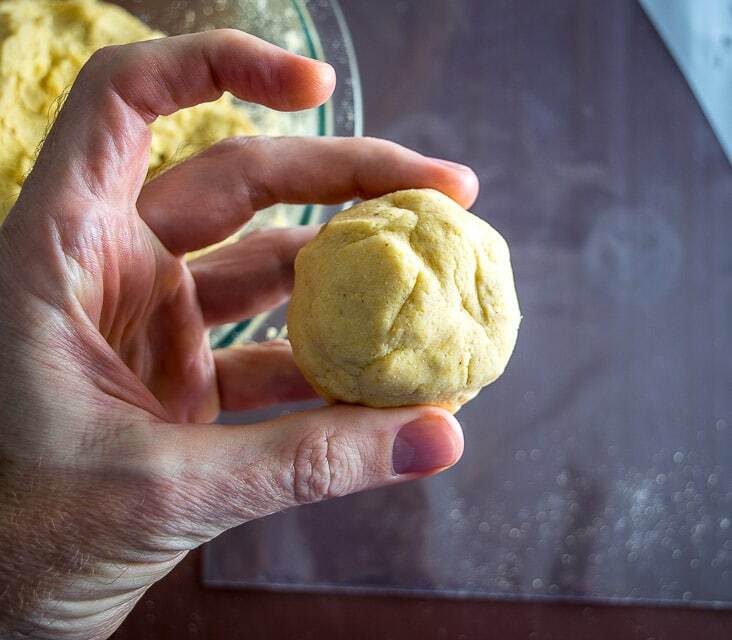 Add the rest of the water incrementally until you have a cohesive ball of masa dough. 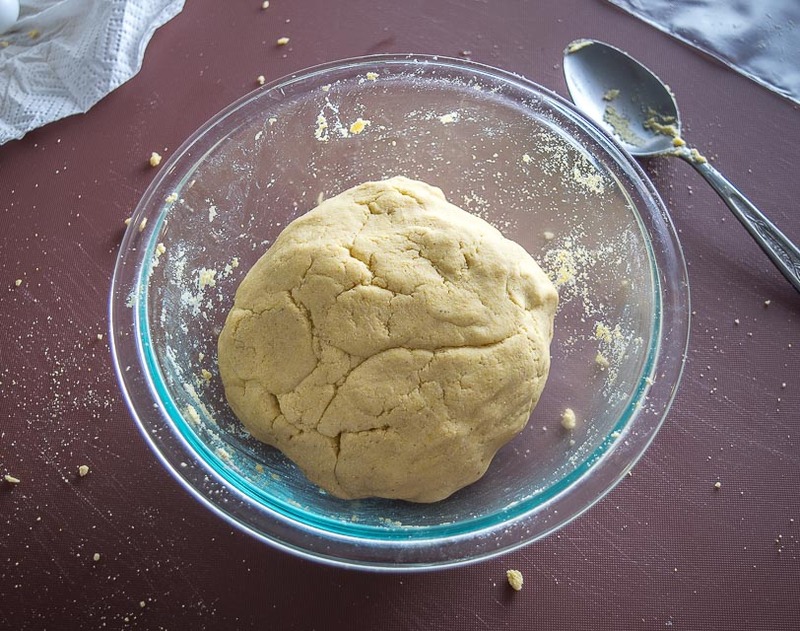 I usually dump the mixture onto a work surface and add the remaining water a few tablespoons at a time, kneading the dough until it comes together. Set aside and cover until you need it. Surround the dough ball in plastic (I use a Ziploc bag with the top cut off) and use a flat-bottomed casserole dish to flatten the dough ball to a thickness that lies somewhere between 1/8" and 1/4". Keep in mind that you can always make them thicker at the cost of a longer cooking time. You can alternatively use a tortilla press for this step. Pre-heat a dry skillet or comal to medium heat. 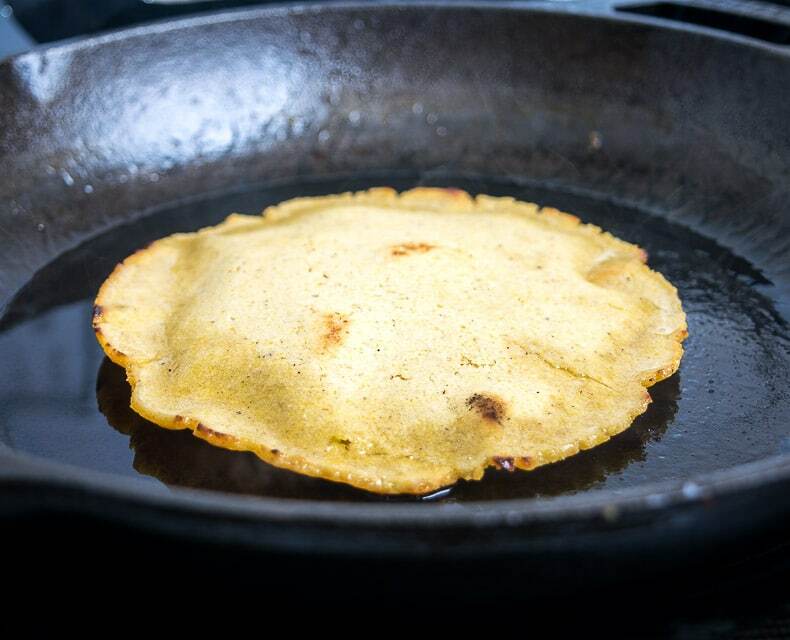 Cook each side of the Gordita until light brown spots are forming, approximately 1-2 minutes per side. Meanwhile, heat up a thin layer of oil in a separate skillet. I use a thermometer to get the oil up to 360F, and this corresponds to a medium setting on my stove. 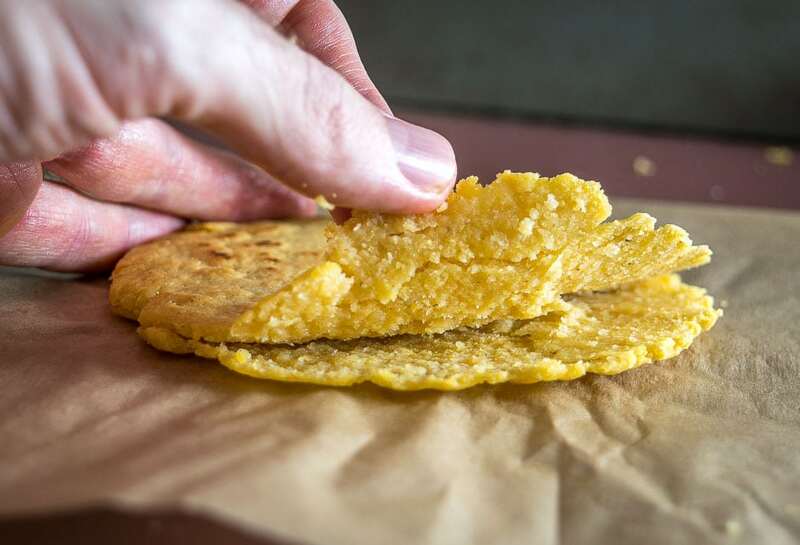 Add the partially cooked Gordita from the dry skillet and cook it in the hot oil for 1-2 minutes or until the bottom side is brown and crispy. You can optionally cook the second side in the oil but I frequently will only cook the first side in oil. Set aside to drain on some paper towels. Use a knife to cut open the edges. Insert your favorite filling and serve immediately. I filled this batch with refried beans and cheese. I will sometimes add some butter along with the lard but this is optional. 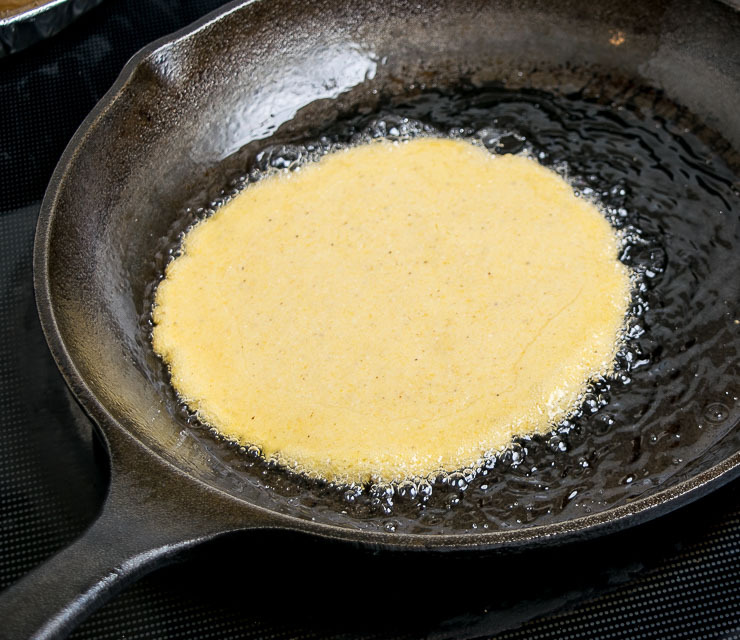 Medium heat on my stove does the job for both cooking the Gordita in the dry skillet and shallow frying it. You could also use a thermometer to test the temp of the oil, with 360F being a good target before adding the Gordita. Sometimes it can take some fiddling to get the consistency of the dough right. 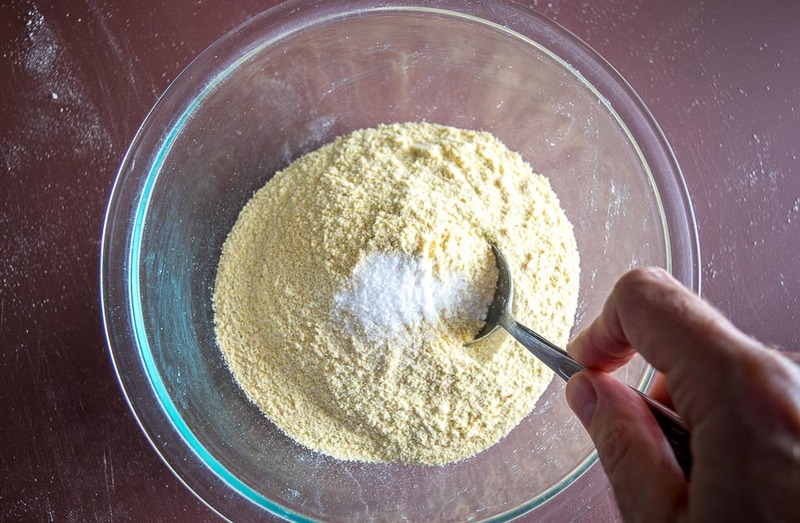 If it's wet and sticking to your hands simply add a light dusting of masa harina. If it's crumbly and won't combine you need to add a couple more tablespoons of water. I used these refried beans for this batch along with plenty of shredded Jack cheese. 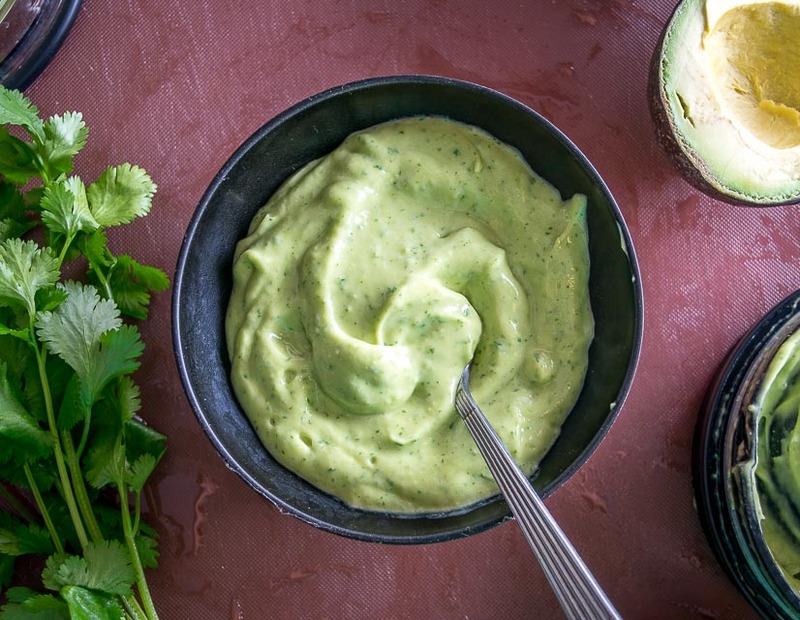 Our latest recipe is Salsa de Aguacate (Avocado Salsa). Hope they turned out well Gloria!